Cost to install a fiberglass window varies greatly by region (and even by zip code). Get free estimates from window installers in your city. Cost to install a fiberglass window varies greatly by region (and even by zip code). The average cost of installing a fiberglass window is $600 - $900​. How much does it cost to install a fiberglass window? Fiberglass 1 windows are windows manufactured using fibers and resin. These materials do not expand and contract with temperature fluctuations, so they are an all-around great window type for all seasons. Fiberglass 1 windows can be an excellent choice, as they provide many superior benefits over other types of windows and can be purchased a reasonable cost. Fiberglass 1 windows are becoming a very popular choice due to the benefits they provide such as lowering energy bills by increasing thermal performance. They also have high overall strength and durability as well as beautiful design. A professional is recommended for the installation of fiberglass 1 windows. It should not be a DIY project; because this type of window is rigid, it does not expand or contract very much, so it can be difficult to fit the window into the opening. Contractors have a hard time keeping these windows in stock because they are new on the market, so they may take longer to arrive. The average cost to install a standard fiberglass 1 window is around $600-$900. This price includes labor costs, materials, insulation, and the window. From the inside: when measuring your windows for replacement, it is important to take measurements from the inside of your house. Start off by measuring the frame width (side to side), and then the frame height (up and down). If the casing of the window (frame around the window) is a standard size, measure about halfway from the middle of the casing to the other end halfway into the casing. If the casing is wider than standard size, measure from an inch into the casing, to an inch into the casing on the other side. 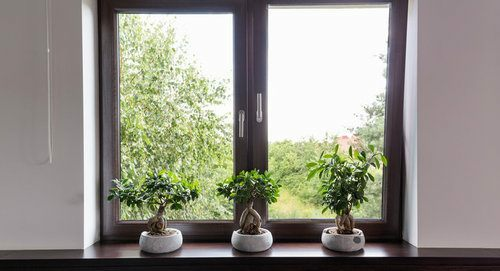 To ensure accurate measurements, measure the width and height at three different points on the window: left, center, and right, or top, center, and bottom. The smallest of the three measurements is the correct one to use. Window’s depth: it is also important to measure the window’s depth. 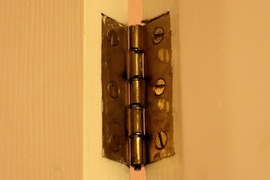 The depth is measured between the two stops that extend in front of the window frame. If you can’t open your window take measurements of the depth on each side and add them together. The average size of a fiberglass 1 window or window opening in a home measures 3 feet by 5 feet in size and 3 1/4 inches in depth. There are different types of fiberglass 1 windows that you have to consider when installing windows. Listed below are the different types of fiberglass 1 windows, their preferred location, pros/cons and their average price. The price provided is a range of price for each window type that includes materials only. Lower prices are an estimate of using low quality materials, while higher prices are for higher quality materials. Fiberglass 1 awning windows are hinged 2 on top and open up outward. They are designed to maximize light and air inside. The best location to install these windows is in a bedroom or other area where light, air, and privacy are important. Awning windows are also often installed near other windows or above patio doors, so they can create additional light in an entrance. The average cost for a fiberglass 1 awning window is $90-$400. Double-hung fiberglass 1 windows are ideal for patios and near walkways because they don’t take up exterior space. The average cost of a double hung fiberglass 1 window is $125-$400. Fiberglass 1 casement windows 3 are compression sealing windows that open 90 degrees for good ventilation, easy cleaning, air flow, and are watertight when closed. 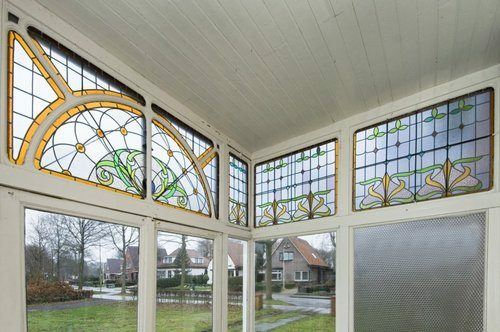 They are one of the most popular window styles around the world. Fiberglass 1 casement windows 3 are good for areas where you want a good view. They are often installed in bedrooms, dining rooms, or spare rooms. The average cost of a fiberglass 1 casement window 3 is $120-$350. Single-hung fiberglass 1 windows are a version of double hung fiberglass 1 windows, but only the lower pane of glass is able to move. 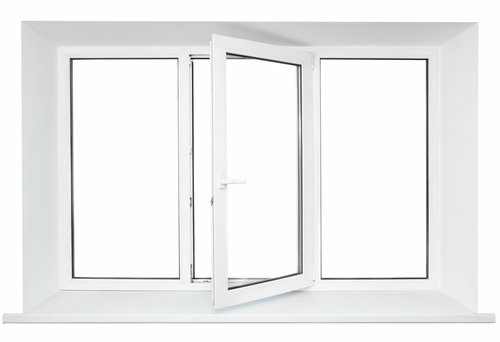 This type of window is ideal in places where the window will not be an obstruction to walkers, such as near a deck or walkway. The average cost of a single-hung fiberglass 1 window is $300-$400. 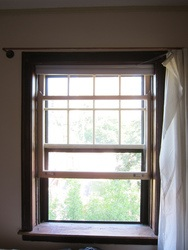 A fiberglass 1 slider window 4 is opened by pulling the sash side to side or up and down. 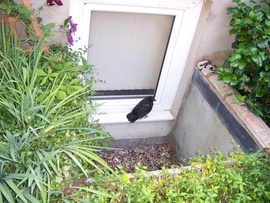 They usually remain within the window frame when opened. These are good for wide openings to provide an unobstructed view. Good locations for installation are in rooms where you want maximum ventilation, such as bathrooms, basements, or even kitchens. The average cost of a fiberglass 1 sliding window 4 is $120-$350. Fiberglass 1 hopper windows are a type of casement window 3. This type of window is a casement window 3 that is flipped on its side. These windows are often installed in basements for maximum ventilation, or in bathrooms. They are usually installed closer to the ground. The average cost of a fiberglass 1 hopper window is $200-$900. Fiberglass 1 transom windows are often small, detailed windows that are located over a door and sometimes above another window. They are usually fan-shaped. Fiberglass 1 transom windows are popular in the front of a house, atop of doors, in spa-like bathrooms, or in areas where a lot of light is necessary. The average cost of a fiberglass 1 transom window is $150-$800. Installing a window requires knowledge and experience and can be complicated, so hiring a professional to do the job is a good idea. Installing a window includes the following: cutting a hole for the window (if one is not already present), installing the window, setting up a window well 5 and ensure it meets the proper grade 6, draining, and cleaning up the interior (drywall 7, casing, trim, and insulation). The average cost to install a fiberglass 1 window averages between $600-$900. This price includes labor costs, which average around $38 per hour and will take approximately 3 hours to install. Properly insulating a fiberglass 1 window is important to prevent debris such as dirt and water from entering the house. It also is important in keeping air from coming into the house through cracks during winter. Fiberglass 1 windows have great insulation properties themselves. 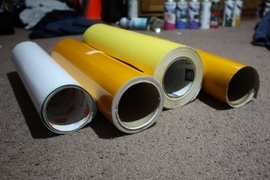 They are manufactured using fibers and resin, two materials that do not expand and contract with temperature changes. This makes them a good insulation window for all seasons. Around the window, a contractor will use an insulation film to make sure there are no cracks between the window and the house. Window insulation film costs on average $30-$60 per window including materials used. Vinyl and fiberglass windows are very popular choices among homeowners and builders. The chart below outlines the differences between vinyl 8 and fiberglass 1 windows . There are many brands of fiberglass 1 windows on the market. All of the brands range in price. Here are some of the most popular fiberglass 1 window brands, along with their respective costs. The type of window pane plays a large role in the cost of your new windows. 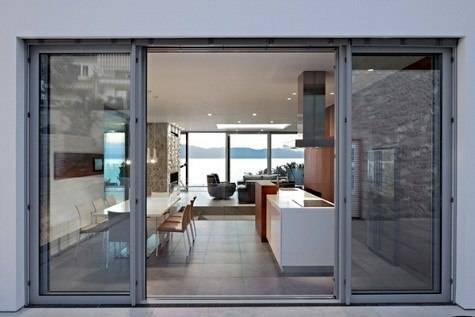 There are a variety of window panes to choose from, all with different efficiencies and costs. The chart below outlines the different window glass types, their average costs, and their pros and cons. 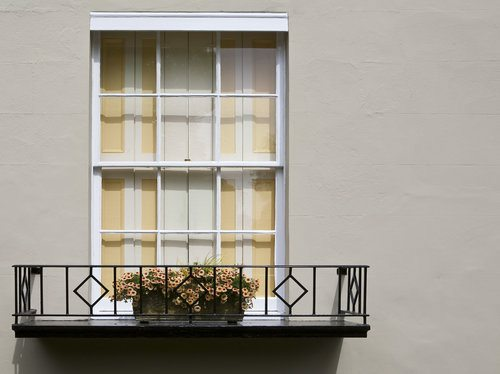 Applying a fresh coat of paint on your window frame is a simple way to make a great improvement to the appearance. The outside of the frame does not have to be the same color as the inside of the frame. Outdoor frame painting starts with removing the old paint. This can be done with a paint remover solution or a sander. 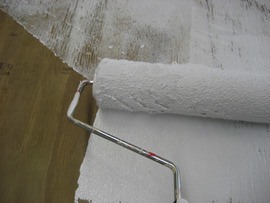 Next, apply a primer 9 to the wood and then apply a coat of paint. The average cost of outdoor frame painting is $20-$35/window. This includes the painting materials $40 (brush, solution or sander, 1 can of primer 9, and 1 can of paint), and labor fees of $25 per hour for 3 hours. Due to the properties of a fiberglass 1 window, you can expect them to last for up to 50 years. Fiberglass 1 windows are a great option if you are looking for energy efficiency. The glass fibers in the window do not expand or contract or conduct heat or cold. The frame is also energy-efficient. Fiberglass 1 is up to 15% better at insulating than other types of windows. Maintenance for fiberglass 1 windows is low. The only maintenance that you may have to to provide is repainting. Fiberglass 1 windows may fade or peel over time. In case of a fire, fiberglass 1 windows have self-extinguishing properties that prevent them from emitting any toxic fumes. Fiberglass 1 windows are the most environmentally-friendly window option. They are less likely to develop any air gaps, which can account for over 30% of the energy used to cool or heat your home. It is important to get 3-5 estimates when looking into installing fiberglass 1 windows, to ensure you are getting the best combination of price and experience. 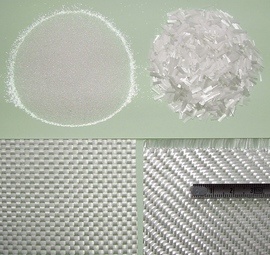 Fiberglass 1 tends to expand far less than wood window materials. 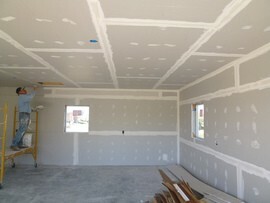 It is a good idea to get pricing for installation of fiberglass 1 windows during a contractor’s down season. This is usually during the late fall and early winter. At this time you may get considerable discounts. What is a fiberglass 1 window? Fiberglass 1 windows are windows that are composed of fibers and resin, materials that do not expand and contract with temperature fluctuations between seasons. Fiberglass 1 windows are very popular in the market today due to their many benefits. They increase thermal performance by lowering your energy bills, provide strength and durability, as well as a beautiful appearance. Many factors come into effect in the cost of replacing a window. Some of these include the size, the material, the condition of the frame, and type of glass. The national average for replacing one 3 foot by 5 foot double hung, vinyl 8 window is an average of $1,500. For the same project using a wood window, the average cost would be $1,875. What is the cost of fiberglass 1 window frames? The average cost to install six fiberglass 1 windows is around $4,398. Pella replacement windows cost an average of $170-$544. That is just for the window. How do you get fiberglass 1 out of your skin? Getting fiberglass 1 out of your skin can be painful because the fibers are made up of glass particles. Take the following measures when your skin comes into contact with fiberglass 1. First, rinse your skin with cold water (do not rub). This will remove any fiber particles on the skin's surface. Next, soak the skin in warm water with Epsom salts. This opens the skin’s pores to release the fiberglass 1 that is in the skin. Lastly, apply a topical steroid cream to the area such as hydrocortisone cream. This will prevent any swelling from occurring. 3 Casement windows: A window that is attached to the frame by hinges on the side of the window, allowing them to open like a door. 6 Grade: The process of evening out the ground's surface, making it either flat or sloped. 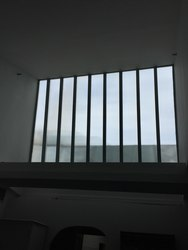 How much does it cost to install a fiberglass window in my city? Cost to install a fiberglass window varies greatly by region (and even by zip code). To get free estimates from local contractors, please indicate yours. Cost Considerations: Installation of a window well will cost from $500 to $2,000 depending on the materials used and the grading and drainage requirements. Covers cost about $600 to $800.